Nowhere else on earth offers water as clear or as blue as the Caribbean. Sandy beaches range in color from pearl white and pink to golden and black. Offshore, sports enthusiasts swim, surf and sail. In the deep open waters, fisherman try to land billfish, tuna, barracuda and shark. Beneath the waters, divers explore the coral reefs and caves. A strong maritime history has left a variety of cultural influences – primarily Dutch, French and British – scattered along the Caribbean islands, while indigenous people and native cultures remain strong. Each island has its own characteristics, climate and economy. Coconut, banana and sugar plantations. Even the wildlife is as colorful as the islands, from neon blue iguanas to red legged tortoises. Abundant wildlife, endless beaches and year-round sunshine — the Caribbean has truly been blessed with the bounties of nature. Choose an inland destination or enjoy distinctively different beaches on the Caribbean, the Gulf of Mexico and the Pacific. Whatever your preference, it will come with Mexican hospitality and charm. Stretching from expanses of desert past rocky beaches and deep into tropical rain forests, Mexico is very nearly able to be all things to all people, all at ",B2," time. Sports enthusiasts, nature lovers and pleasure seekers are drawn to spectacular beaches and coral formations, Mayan ruins and the Mexican Mediterranean. On the Yucatan Peninsula, water sports enthusiasts and sport fisherman are drawn to white sand beaches, coral reefs and Caribbean climate. 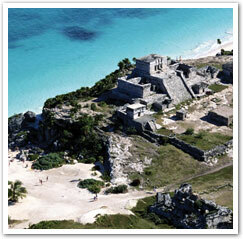 Away from the modern restaurants, shops and clubs, visitors can explore archaeological sites and learn about the Mayans. Prismatic and dramatic, colorful Mexico is a delight for the senses. To that end, OurVacationStore.com was launched with a unique value proposition that will reward virtually every transaction made in our store.Â Every preferred resort, preferred hotel or experiential vacation purchase will be rewarded with a $300 Cruise Value Card good for future cruise vacations. With a worldwide selection of cruise, resort, hotel and vacation inventory - all backed with our Best Price Guarantee - Our Vacation Store is ready to meet the demands of todayâs leisure travelers. 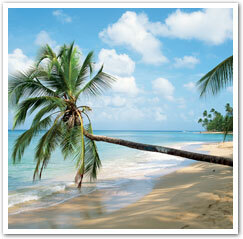 OVS also offers a full set of traditional travel services including airfare, hotel, and car rentals.